Ever since I got the new Onyx Boox Note S, it has me questioning the whole concept of flush glass screens on ebook readers. I’m not sure the negatives outweigh the positives. In fact I’m now convinced that flush glass screens are actually worse than the alternatives. The main thing to consider is the simple fact that glass doesn’t add anything at all to the reading experience. When’s the last time you put sheet of glass over your paper book before reading? All the glass screen does is add more weight and make it so the E Ink screen appears darker and less clear. There’s also the fact that the glass is slick, which makes the device harder to hold onto. Pretty much the only advantage of a flush glass screen is it looks cool. In the case of the Onyx Boox Note S, the glass screen is a clear downgrade to me. For starters, using a hard plastic stylus to write on slick glass is not a pleasant experience. It feels nothing like writing on paper. Additionally, the glass screen makes the E Ink display appear slightly darker and less sharp compared to the screen on the Onyx Boox N96ML, which has the exact same 9.7-inch E Ink Carta display without the glass layer and capacitive touchscreen. It’s the same story with other ebook readers, but most people simply don’t notice it because the difference is subtle. I even forgot about the true clarity of E Ink until the Nook Glowlight 3 came along with a 300 ppi screen and an infrared touchscreen. Any added layer over an E Ink display degrades the clarity of the screen to some extent. Capacitive touchscreens, frontlights, and flush glass screens all take a little bit away from E Ink’s true clarity. Strip away all the layers and the text has a super clear floating above the screen quality to it that LCD cannot match. Phones and tablets need glass screens but ebook readers don’t. So what’s the point of adding extra weight and making the E Ink screen look worse? Dedicated ebook readers should stay true to their own design for optimal reading instead of trying to copy the look and feel of phones and tablets. I’m actually still hoping for a nice basic Kindle with 300ppi. Yes they are overrated. The problem with flush screens is that they are unevenly lit with two tone color gradient on half the of the screen. So while the Kindle Voyage does have better contrast than the Paperwhite and seemingly sharper crisper text, the unevenly lit light ruins the experience. Unevenly lit screens have plagues every flush screen eReader I have purchased from the Voyage, The Oasis both 6″ and 7″ and the Kobo Aura One as well. On the flipside, the Paperwhite rarely suffers from this issue. Sure you might have different temperature screens such as some being cooler or warmer in tone but for the most part they are evenly lit. So yes they are Overrated and my hope is that they release a new Paperwhite with the same indented screen while cutting the monstrous bezels, making it thinner and lights, adding page turn buttons and comfort light. Also I wish they would use IR screens instead of Capacitive. The uneven light was the reason i didnt keep the Voyage. I thought the text looked great….better than the Paperwhite. That screem was just too distracting for for me. I’ve used the voyage since it first came out. I have never had any issue – I use it for hours every day, often reading in bed from 11 pm – 2/3 am. What? The Oasis 2 has a screen that is FAR MORE UNIFORM than the Paperwhite. The PW might have impressed several years ago when it first came out. But it has not aged well. The very few leds provide the most issues with uniformity outside of the Oasis 1. Frankly the Paperwhite is highly overrated. It sounds like you are simply defending your purchasing habits. I’ve kept my PW, Voyage, Oasis 2 and Aura One and can tell you that if the front-light was the main concern the PW would be the one to go. This is what I mean between the Voyage which has a flush screen and the Paperhwite. The Paperwhite is perfectly evenly lit while the Voyage is a mess. 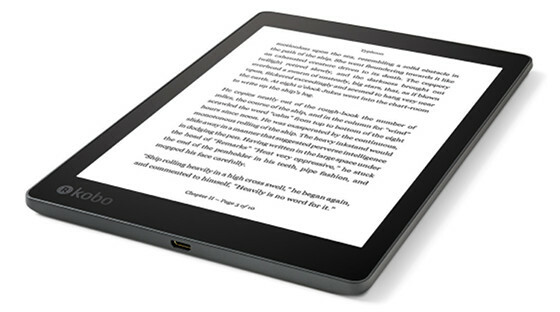 This same issue was also present on the Oasis (both Models) and Kobo Aura One. Why would I defend my purchase habits? Here is the proof in front of your eyes. You dont just have to take my word for it. See for yourself. There are hundreds of thousands of users of both of those models that do not have the “mess” of a lighting that you claim to have. I guess Amazon really has it in for you. I will do my best not to get on Amazon’s bad side, since I think the lighting on my wife’s Voyage and my Oasis 2 are both fantastic. How do you know hundreds of thousands of users don’t have this problem? And if you and your wife have perfect the Kindles that’s great, good for you I applaud you. But if Amazon had it in for me do you think they would send me 4 perfect Paperwhites? That makes no sense but whatever. It’s a fact I’m not the only person with a defective Voyage, look on Amazon and check out the reviews and photos of the blatant problem with the voyage and oasis. Look at the pictures and see for yourself that no, Amazon doesn’t just have it in for me. Yes I’d agree. The raised bezels are more comfortable to hold too. I would not say overrated, but unnecessary. The glass screens have the advantage of being less likely to have the light bleed problem. I had this issue with both of my Simple Touch with Glowlight readers. Perhaps the answer is recessed glass with IR touch. Has such a reader ever been produced? Is it the glass or the capacitive touch layer the degrades the clarity of the text? I prefer a plastic, matte screen. I generally don’t care either way about the bezel–though the Onyx 10.5” Note’s sharp-edged bezel feels janky, like they decided to leave out a layer after the fact and couldn’t be bothered to redesign the casing. With a resistive screen, a protective layer can keep the screen functioning longer, keeping dirt from accumulating between the screen and the casing (which can cause “jaggies”). I mean that a flush surface can protect a capacitive screen from the jaggies. No, I mean protect a resistive screen. Capacitive screen is fine either way. Apparently, I have the brain jaggies. I think you are correct. The clearest screen I’ve ever had on an ereader is on the first gen Kobo H2o. It only has 212ppi. I’m compairing it to a Kindle Voyage and Oasis 2, both of which are 300ppi and have more even lighting though. In natural light the Kobo is clearer, no question. The H2O (both editions) and the HD are all 265 ppi not 212 ppi. The issue of IR touchscreen vs capacitive and the issue of glass vs no glass are actually not the same and I’m seeing the article and these comments confuse the two. I agree that the HD and the H2O Ed. 1 looked *slightly* sharper due to not having that capacitive layer. But that is in comparison to any capactive layer ereader like the H2O Ed. 2 not just ones with a glass screen. Obviously all glass screens have the capacitive layers but that doesn’t imply that the ones without the glass screens all use IR. So ultimately it is beside the point. Even though I agree that glass screens are overrated, sadly I think the entire article is categorically false. Starting here. The glass screens do actually have less glare than the competition. While no ereader is glare free like most paper books are, I’ve found that the micro-etched glass screens do a better job than even no glass screen. Also because we’re dealing with magnetized ink there is that slight annoying business with detritus getting caught in the corners. Not so with a flush screen. I would like to point out that the Oasis 2 which has a larger screen, weighs less than the Paperwhite. Also due to fairly wide tolerances in eink manufacturing no statistically significant conclusions can be drawn AT ALL about glass screens reducing contrast. In fact out of all of the ereaders that I’ve owned, the Voyage still has the highest contrast. I’ve heard others say the same as well. I’ve already talked about this but this conflates two different issues. All modern eink readers made by Kindle and Kobo use capacitive touch. Implicitly assuming that non-glass ereaders are all infrared is disingenuous. Finally we are in agreement. The glass screen ereaders feel too much like a screen and not like a book. And that is why I’ve recently come to dislike the glass screens. Maybe I got lucky, but the lighting and the contrast on my Voyage are damn near perfect. The flush screen is great; no shadows down one side, and no detritus collects. Also less bulky, which helps because I use a folio cover. The etched screen makes it so glare is only an issue if I actively try to find the right angle to catch the light, and keep it there. I plan on checking out the Oasis 2 because of the bigger screen, but after the updates that allowed bold text and especially being able to add your own fonts, it will take some doing for me to replace my Voyage. Indeed, my Voyage is the same as yours. Just perfect. However the display quality of my Oasis 2 is far worse. The background is darker and the black ink is lighter. Overall, the contrast is worse, the text is not as crisp as on Voyage, it has a “washed out” feeling. Maybe if you don’t have a Voyage, you won’t complain, but it is possible that also the PW3 has a slightly better screen. Otherwise I like my Oasis, but still I am happy that I kept the Voyage too as a backup reader. Or is it possible, that I caught a faulty product? All in all I don’t think that the problem is related to the flush glass. I’m also an owner of both devices, and I agree. The Voyage is better in almost every way. The screen is too small though, so I use the Oasis almost exclusively. I agree: the screen of muy Oasis 2 looks also “washed out” compared to the screen of my Voyage. this is a big disappointment, so I don’t use the Oasis anymore, especially since I also don’t like the shape of the Oasis 2. This may explain why I’ve felt there was a clarity to my Kindle 4 that wasn’t matched by my Voyage, even though all the specs clearly showed the Voyage coming out ahead. I thought it was an irrational preference. Speaking of those, though, I think “it looks cool” is not a valueless advantage. It’s ok to want your device to look cool. I’ve had the same thought. If the Oasis 2 and Voyage did not look expensive, could I have justified paying that much for them? I’d say probably not. I’ve never paid full price for a sunken screen. Something to consider. The main advantage of a flush glass screen is it is a lot easier to keep clean. I have not noticed any problems with clarity or lighting inconsistencies on my Onyx Boox Kepler Pro. I also suspect that flush cases tend to be slimmer than bezeled ones, which I appreciate. Advantages of glass are it is way easier to clean; dust, dirt, grime, and crumbs gets stuck at the recessed bezel. The glass is more resistant to scratches. Having owned flush and not-flush, I’ll never buy another not-flush. Flush screens are easier to clean and feel more like a real book when swiping to turn the page. I still don’t understand how an electric device with a flush screen and artificial light feels like a real book, but OK.
Because real books don’t have raised bezels on the pages. Sadly I would have to agree with the voyage being a flop of a device despite how good it is. Case in point I have been trying to sell my Kindle voyage with for 3 weeks on eBay. All of this cost me about $325 with tax only 6 months ago. Now I can’t even sell it for less than half the price. The voyage has a bad rap, everyone knows that, and now I do too.